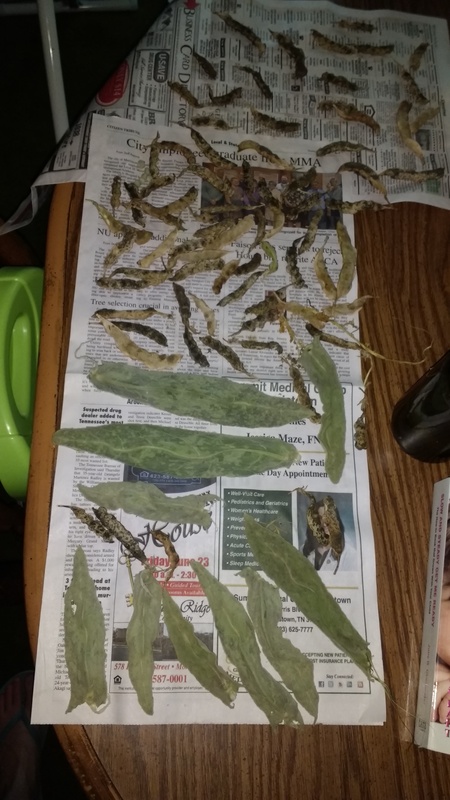 Last week I pulled out the peas for seed next spring, and they’re continuing to dry inside. I let them dry on the vines, but with all the rain we were getting, I didn’t want them to mold, as some were beginning to. 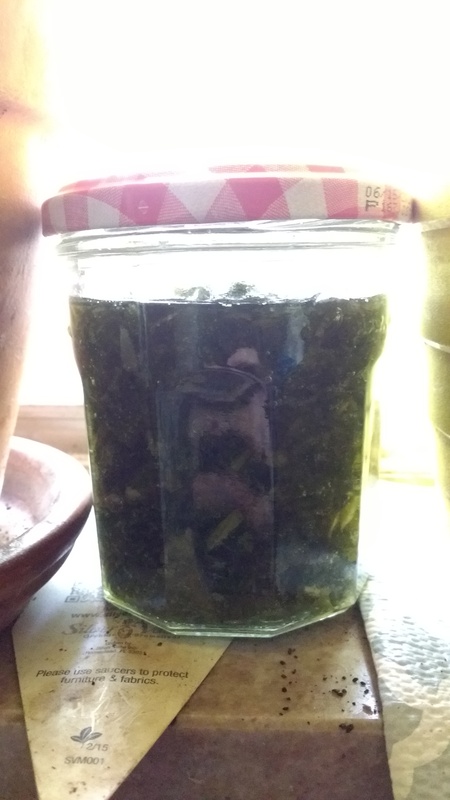 I also pulled and dried some turnip seed, and also some mullein leaf for teas. In addition to the leaves pulled for tea, I also harvested some mullein leaves to use fresh in a tincture. That’ll come in handy this cold and flu season as it’s an exceptional expectorant and cough suppressant. Frankly, there’s very little mullein can’t be used for, as it’s incredibly versitle and useful. If you aren’t cultivating it, I recommend finding some. We have it growing wild all over the place here. 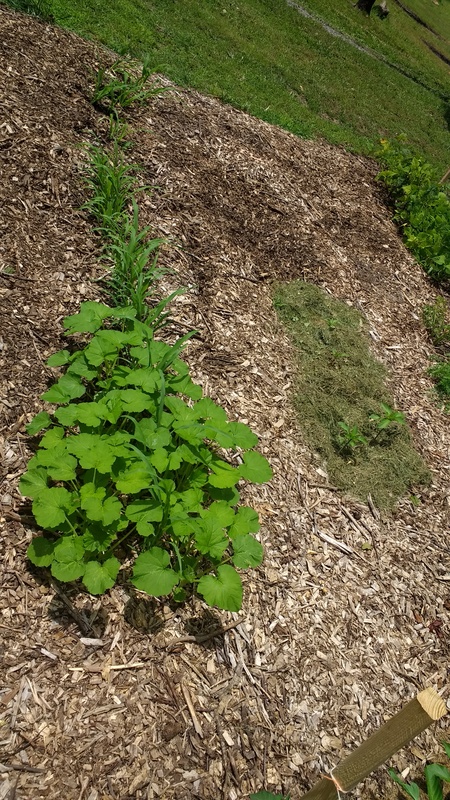 It’s commonly seen as a large and invasive weed without any knowledge as to it’s functionality in herbalism. 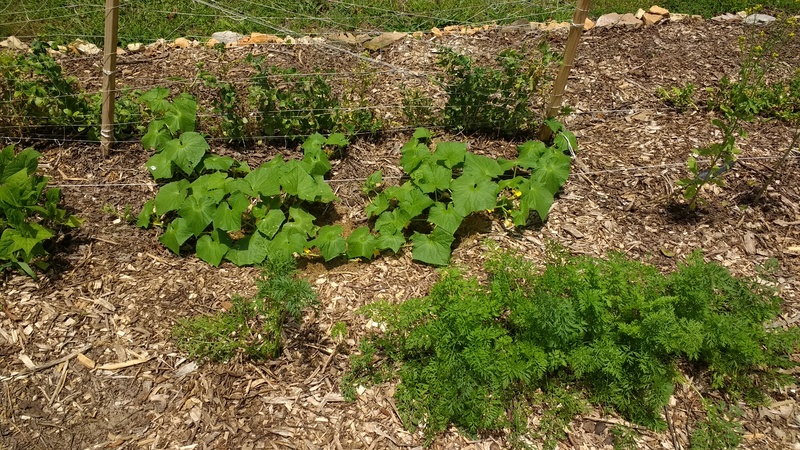 We’ve got cucumbers fruiting, and tomatoes beginning to fruit as well. Our corn is about knee-high, which as the saying goes, “knee-high by the 4th of July” indicates we’re on track for a good production and harvest. The squash growing along with it is just as large, but not yet fruiting. The peppers are still pretty small, but it hasn’t really been hot enough for them to do their thing yet, so we’re still waiting on the summer heat to get them going. 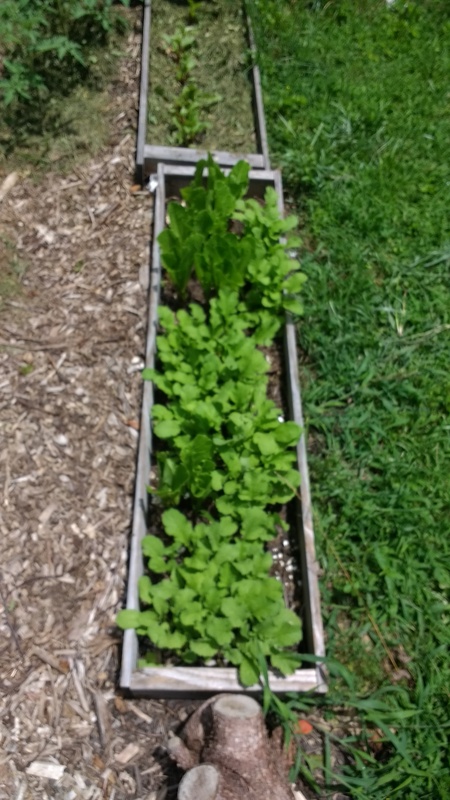 We have radishes and romaine lettuce still going strong and the radishes should be ready for harvest soon. The carrots are on track to be harvested in August. The Swiss red chard is doing well and getting bigger. Won’t be long until it’s ready as well. 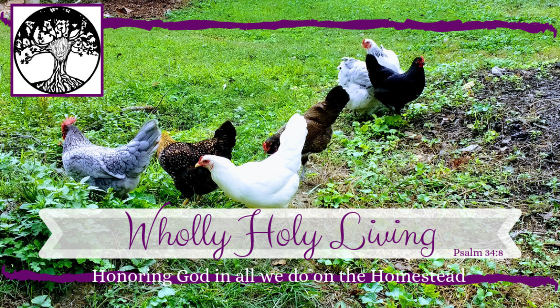 All in all, everything is looking good, and nothing is showing any signs of significant distress, in spite of the enormous caterpillars I’ve been finding (and feeding to the chickens.) The benefit of the back to Eden garden is that the plants have an abundance of nutrients and water and are thus able to withstand any insects that may get hold of them. That said, I did have issues with cabbage loopers this year. 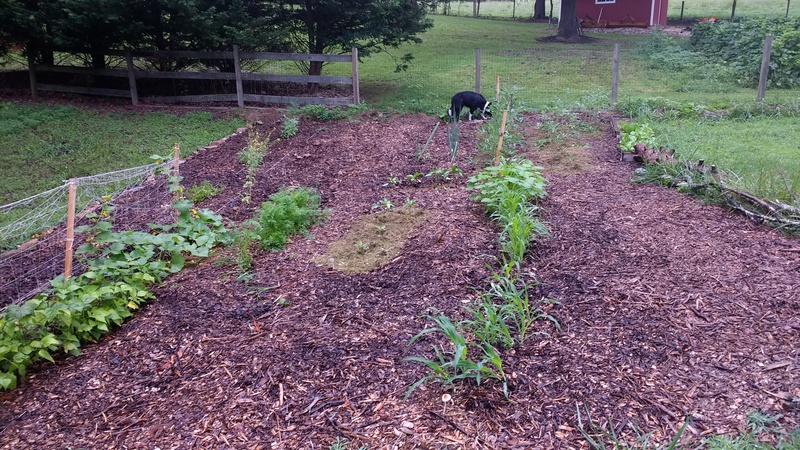 Next year, I’ll do more intensive companion planting to attempt to alleviate the issue. For now, everything is happy and thriving!